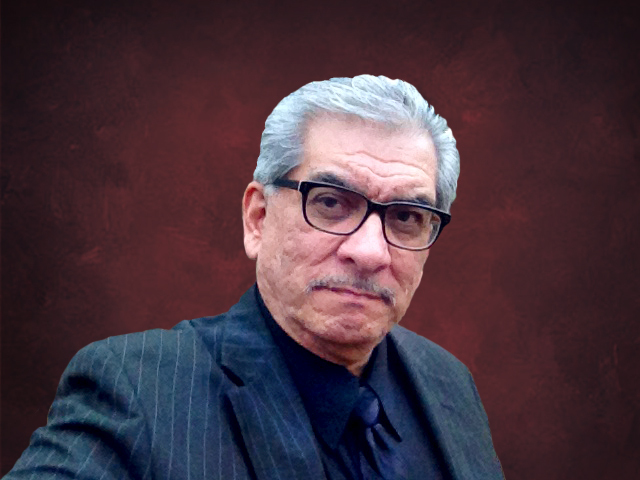 (September 28, 2018) — The Chicano Alumni Legacy Award will be presented to former Fresno State public information officer Tom Uribes for his contributions as a journalist and promoting education in the Central California Latino community the past 45 years. Uribes, 63, who retired in December after a 30-year career with the University, will be honored at the Chicano Alumni Awards and Scholarship Banquet at 6 p.m. Friday, Oct. 12, at the University Square Hotel (4961 N. Cedar Ave.).Three journalism students will also be presented scholarships. George Garnica of Madera will receive the Chicano Alumni Club Scholarship. 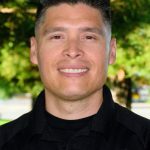 He is an award-winning, veteran news photojournalist at KSEE-TV 24 who returned to college to pursue a degree in media, communications and journalism. Garnica plans to graduate in May with aspirations to teach journalism. Jennifer Madrigal of Porterville will receive the Fresno State Amigos Scholarship. 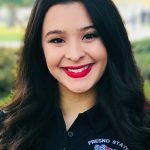 The second-year Fresno State student is pursuing a bachelor’s degree in public health administration with a minor in media, communications and journalism (public relations option). She is a student assistant with Fresno State’s Outreach and Special Programs. Cresencio Rodriguez-Delgado of Porterville will receive the Zack and Carmen Uribes Scholarship that was established earlier this year by Uribes’ family after his father, a World War II veteran, died in April. 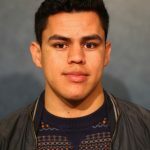 Rodriguez-Delgado is pursuing a bachelor’s degree in Media, Communications and Journalism with a print (news) option at Fresno State and is the editor in chief of the University’s student-run newspaper, The Collegian. Rodriguez-Delgado also works as a part-time student writer for The Fresno Bee. Manuel Olgin, founding president of the Chicano Alumni, which is affiliated with the Fresno State Alumni Association, said the Chicano Alumni Legacy Award recognizes a Fresno State alumnus who has made significant contributions to the Chicano experience at the University and to the community at-large. He cited Uribes’ work and his selection this past fall as a 2017 Media, Communications and Journalism Fellow at the MCJ Hall of Fame dinner in November. Uribes was editor of the student newspaper La Voz de Aztlan in the mid-1970s; Sentimientos Magazine, a Chicano community publication in the late 1970s; and The Delano Record in the mid-1980s before joining the Fresno State staff in 1988 as a public affairs specialist. He helped establish the Fresno Chapter of the California News Media Association and served as director of the CCNMA Minority Journalism Workshop. Olgin said the club is dedicating the banquet to promoting a strong free press by also spotlighting the three scholarship recipients and their involvement in journalism. He said Uribes often promoted the profession as a career choice for many Latino students and other minorities. “Tom was part of the generation of Chicano students in the ’70s – and since – who worked to help open the doors of higher education to more students of color, and he was among just a handful who made their contributions through journalism,” Olgin said. Uribes served under three Fresno State presidents: Drs. Harold H. Haak, John D. Welty and Joseph I. Castro, the first Latino and San Joaquin Valley native to lead the University. Banquet chairperson Frances Pena-Olgin, who retired from her 35-year career with Fresno State in 2016 as director of University Outreach and who first hired Uribes at Fresno State in 1988, said his work served not only the general community and Latino students but other students of color as well. The banquet begins with a no-host social hour at 6 p.m., followed by dinner and a program and ending with dance music by DJ Mark Lozada. Tickets for the banquet are $40, with several sponsorship levels available. Proceeds benefit the Chicano Alumni scholarship endowment fund. Pena-Olgin said the event is nearing a sellout.